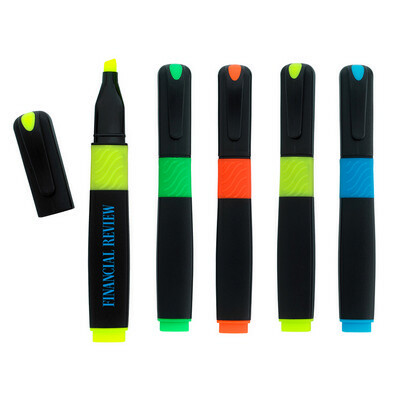 Features: Highlighter with chisel tip. It is available in colours of Black with Blue, Yellow, Orange or Green Trim. Price includes : 1 COLOUR 1 POSITION PRINT. Setup is included.